When my friend Louise, who works at Superdrug, offered to give me a voucher for 30% off Superdrug own brand and 20% off other brands, that she'd been given at work I jumped at the chance! I mean what better excuse to buy makeup than discount? So I thought I'd share with you the things that I bought with the discount as it's rare that I buy lots of makeup in one go. 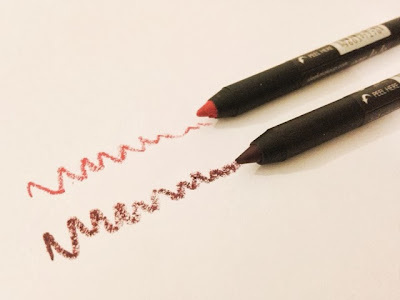 I've been looking for some good quality lip liners at a reasonable price for a while, so I picked up these Eau La La Liners from Sleek in the shades Raisin and Moulin Rouge. 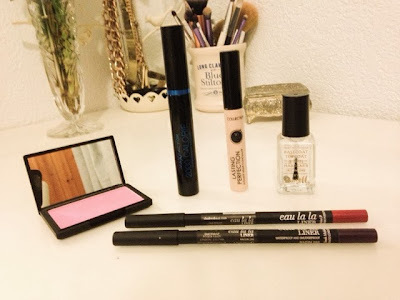 I love Sleek makeup: they are one of my favourite drugstore brands, and these lip liners definitely meet my expectations. The Eau La La Liners are multipurpose liners and are very soft and creamy, making application smooth. Moulin Rouge is as the name suggests a vibrant, classic red and Raisin is a lovely plum/berry shade that is perfect for winter. 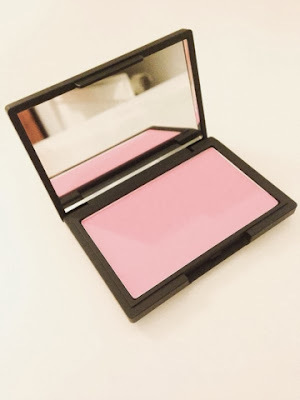 While browsing at the Sleek counter how could I pass on the opportunity to buy one of their raved about blushers? Like all of Sleeks products their blushers are highly pigmented and as good, if not better than a lot of high end blushers that I've tried. Pixie is a bright baby pink in a matte finish, I love this colour and I really feel like it suits my cool skin tone as it has a blue undertone. This product, like a few of the products in this haul, is a re-purchase. I love this mascara and it's very reasonable compared to a lot of drugstore mascaras which are verging on the £10 mark if not more. 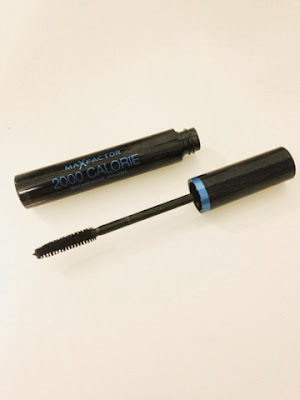 I've actually done a review of the Max Factor 2000 Calorie here. 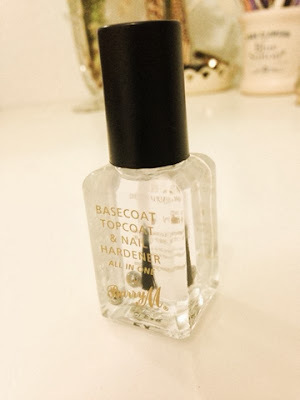 I don't actually need more of Barry M Basecoat, Topcoat and Nail Hardener but it's my favourite basecoat and topcoat meaning that it runs out very quickly as I use it every time I paint my nails, which is very often. So I thought that while I have the opportunity to get it discounted I thought I might as well buy some more! 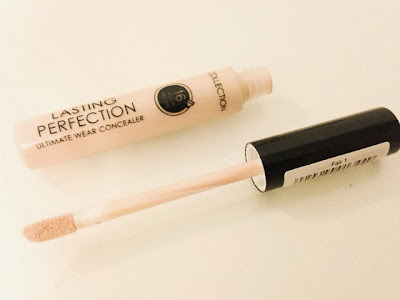 I'm sure you don't need me to tell you about how much I love this concealer as practically everyone in the beauty blogging community has tried it and raved about how much they love it. This is maybe my third tube of it as it does run out quite quickly because the rubbish packaging makes it impossible to get all of the product out, but for under a fiver it hardly breaks the bank. It's times like these when it pays to have friends who work in shops that sell amazing makeup. It's just annoying because I missed out on the 3 for 2 offer by a day but overall I saved £7.19 which I'm very pleased with! Also I hope you don't mind but I've been taking some of the photo's on my I phone, it's just easier to edit and they focus better. But hopefully when I eventually get a job I'll be able to afford a decent camera!